Why in the field of vision does one see a pattern of some black colour design? Is it due to some kind of defect in vision. Are they bubbles in the liquid in eye ball? Dear Sanjay, thank you for your question. The symptoms you are describing sound typical of floaters. In general, floaters are part of the normal degenerative process of the eye. As you grow older, the vitreous humor degenerates and creates debris or clumps of gel within the eyeball. The debris and clumps float in the vitreous cavity and catch light that enters the eye; the shadows that are cast on the retina are seen as floaters. They can take on a variety of shapes and sizes, including dots, circles, lines, flies or cobwebs floating across your vision. Floaters are usually associated with posterior vitreous detachment and are therefore mostly harmless. However, an increase in floaters can sometimes indicate the presence of a retinal detachment. If you notice any change in your 'usual' floaters, you should consult an ophthalmologist to have your retina examined. I had cataract surgery three (3) weeks ago and now my vision is worse. I can see the lens, itself on the right side of my eye and feel the lens scratching on the left. I cannot see clearly/focus near or far with that eye and now also have double vision. My doctor stated on my 2nd post-op visit that I will now have to get "special" glasses containing prisms and I am to see a "specialist" solely for that. Will I ever again regain the scope of vision I once had? Also I have a cataract "maturing" in my other eye and I am terrified now to get anything else done. Dear Robin, thank you for your question. I am sorry to know that you are experiencing problems after your recent cataract surgery. I am assuming that you had routine phacoemulsification cataract surgery which went well without any complications during surgery. Having a scratchy sensation after surgery is quite common. It is likely to be due to the eyelids rubbing against the cataract surgery wounds as the wounds heal. These will take time to heal, and in some people, may take up to a few months. Although annoying, it generally does not cause any long-term visual problems and will eventually settle without the need for any additional treatment. Your visual symptoms may be due to cystoid macular edema (CME), which is a well-recognized complication after cataract surgery. In CME, fluid accumulates at the macula (central part of the retina that is important for seeing detail), thereby affecting your visual acuity. To hasten recovery from CME, I normally prescribe my patients with a 1-month course of steroid eye drops (such as prednisolone), in combination with non-steroidal anti-inflammatory eye drops (such as ketorolac). Cases resistant to treatment may require an injection of steroid around (sub-tenon) or into (intravitreal) the eyeball, or even oral steroids. My suggestion is to hang tight for now and not to fit any prisms or undergo any further surgery just yet. 3 weeks may seem like a long time, but from the eye point of view, it is still only a short period of time after surgery. See how it goes over the next few months. Things may settle more and eventually 'click' into place. As for the other eye with a cataract, I would consider surgery only if you are having problems with your vision. If you are managing well with your current level of vision, then just leave things be. There is no need to remove the cataract just for the sake of it. Only have it done if you really need to improve the quality of vision in that eye. My grandson (6) has dislocated lenses and I was wondering why this cannot be rectified. If the lens can be replaced then surely it must also able to be relocated and anchored where it should be? Dear Brent, thank you for your question. I am sorry to hear that your grandson has dislocated lenses. Please allow me to explain a bit more. In general, when someone has cataract surgery, the natural crystalline lens in the eye is removed and is replaced by a plastic intraocular lens. The natural lens is held in position within the eye by the capsular bag and its zonular attachments. It is this bag that the plastic intraocular lens is inserted into, so that it can be kept in place in the correct location. The intraocular lens remains in the eye permanently. When doctors say that the lens is dislocated, it usually means that the capsular bag and its zonular attachments have also dislocated along with the lens. Therefore, the natural mechanism for keeping the lens (whether natural or plastic) in the correct position within the eye has been lost. In your grandson's case, it is likely that the dislocated lenses (and the capsular bag) are in the vitreous cavity of the eyeballs. They certainly are not missing. The lenses are still in the eyes, but just not where they are meant to be. Unfortunately, it is not a simple matter of finding the lens and then stitching it back into place. Firstly, removing the dislocated lens itself requires major surgery. The procedure (vitrectomy) is similar to retinal detachment surgery, which of course, comes with its own set of risks, including retinal detachment. Secondly, it is not possible to 'anchor' the dislocated lens and its capsular bag into its correct position without causing damage to other eye structures. Even if retrieved, the dislocated lens is usually discarded because it can no longer perform its natural functions. For adults in this situation, an intraocular lens is often placed in the anterior chamber (anterior chamber intraocular lens). However, this is not a good option for children because of the risk of developing glaucoma and uveitis, both potentially causing irreversible blindness. Also, because the eye is still developing and growing, it is likely that the implanted intraocular lens will no longer be correct for the eye after a few years. This is a difficult and complex case. Unfortunately, I don't have the answer as to what is best for your grandson. Perhaps obtaining a second opinion from a pediatric ophthalmologist - an ophthalmologist who specializes in eye diseases in children - may be of benefit. My best wishes to you and your grandson. I am reaching out because today the Ocular Nutrition Society (ONS) issued a statement regarding the need to educate Americans about the role of nutrition in supporting eye health. 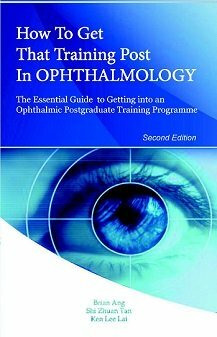 Given your section on eye maintenance, I thought this may be of interest to you and your readers. We hope that you will post the statement or include in this section as an effort to increase awareness of this important issue. Below is the press release and consensus statement, which was reached by a panel of eyes in ophthalmology, optometry, diet and nutrition, and primary care. Should you have any questions or would like to speak with Dr. Jeffrey Anshel, president of the ONS, about this important issue, please do not hesitate to reach out. Dear Carly, thank you for letting us know about the Ocular Nutrition Society consensus statement. I fully agree that at present, education on the role of nutrition in eye care among the public is sorely lacking. Without doubt, this is an important issue that needs to be urgently addressed. One of the problems is that there is (paradoxically) too much information out there, and it can be difficult to discern between actual scientific evidence and marketing hype (which usually sounds very convincing) from those with vested interests. Perhaps this is an area that the ONS can focus on. Please keep up the great work - I am in full support of your efforts in promoting ocular nutrition to the public. I had cataract surgery of my right eye four days ago. I still have some minor problem focusing with the operated eye, i.e. slight double vision, particularly in the mornings or reading the paper. It seems that the left eye sees sharper images. How long would it take for normal vision to return to the operated eye? Dear Mike, thank you for your question. In general, an eye that has just been operated on for cataract can take up to a few weeks to settle down. How quickly the eye settles also depends on how easy (or difficult) cataract surgery was, the type of intraocular lens inserted, as well as whether there were any complications during surgery. To a certain extent, the health of your eye (particularly the state of the macula) before surgery also plays a role. What you have said sounds quite typical for some patients after cataract surgery, and certainly you have not described any symptoms that would make me unduly worried. My suggestion would be to keep going with the eye drops as instructed by your ophthalmologist (the drops will reduce inflammation and prevent infection) and to keep the eye clean. Give it a few weeks and you will find that the symptoms will gradually improve over this time. What would be a cause for concern would be severe pain, significant reduction in vision or purulent discharge from the eye. If that happens, you may have developed endophthalmitis (severe infection of the eye). This is an emergency and will require urgent treatment from your ophthalmologist.